GillBrite manufactures high quality wholesale led outdoor lights in NJ. Gill Brite delivers locally and also offers local pick up. Bring some warmness to your outdoor living space by installing LED lights into your pavers. Lighting up your patio can be a great way to entertain your family and friends after it gets dark out by using the wholesale led outdoor lights in nj that we have for sale. Not only do we sell outdoor lights but we also install low voltage LED lights into new paver patios, paver driveways, paver pool surrounds, paver walkways and any other outdoor space. Our experts at Gillbrite specialize in selling beautiful good quality lights at an affordable price for wholesale low voltage led landscape lights nj. We believe in selling the same great products that other manufacturers are selling, but at a cost that you can afford. You can enjoy your walkway, patio, steps, and driveway with our beautiful warm white lights creating a welcoming environment for your guests and family when it is dark. It is unsafe to come home to a dark house. By coming home to a well lit home you are ensuring that you are not tripping or falling over anything. If you have elderly people living at your home it can be quite dangerous if they fall. Anytime someone older falls they end up in the hospital. Another great thing about having wholesale low voltage led landscape lights nj is it gives you a well lit home is that it is less likely to get broke into since robbers will have no dark places to hide. Gill Brite has excellent quality Wholesale LED Low Voltage Lighting in NJ. When your home is well lit it can give you a peace of mind knowing that when you are walking up to your home you can see and it won’t be dark. Safety should be your number one concern when it comes to your home so lighting up pathways, driveways, and patios is very helpful to keep you and your family members from stumbling and falling. By having your home light up you will be able to see if there is a burglar because of the lights being on they will be more scared to enter your home. 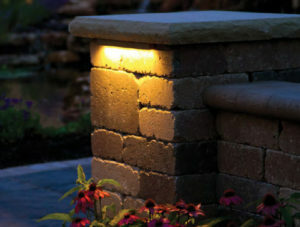 We specialize in selling wholesale paver patio lights NJ. We believe that by adding lights to your pavers you are able to have light when people come over your house. You are added an excellence source of security to your home by adding lights. Enjoy your home and don’t be afraid of falling anymore. Love welcoming guests over when its dark out and showing off your wholesale paver patio lights nj. Gill Brite specializes in wholesale landscape lighting in NJ. 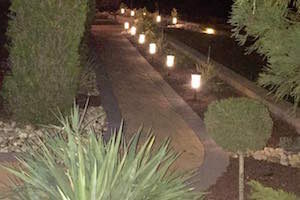 We install outdoor landscape lights into patios, driveways, and walkways. 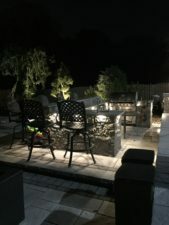 Our specialty is wholesale landscape lighting in NJ, we have the most beautiful outdoor hardscape lights at the best prices for wholesalers, retailers, and for installation. Gill Brite is a supplier of Wholesale LED Outdoor Lighting in NJ. This entry was posted in Wholesale LED Outdoor Lights in NJ and tagged Wholesale LED Low Voltage Lighting in NJ, Wholesale LED Outdoor Lights in NJ, Wholesale Lights in Driveway NJ, Wholesale Low Voltage LED Landscape Lights NJ, Wholesale Paver Patio Lights NJ on December 15, 2017 by GiLLBRiTE.